The best part about this discount Luminox watches sale is you get to find many of the pieces from their top tier lines like the ICE-SAR ARCTIC 1000 or the RECON at half their price! You’ll also find some of the lesser known Luminox Automatic Watches. Luminox Titanium Watches are also found, all with Tritium-filled capsules glowing on the hands and as hour-markers. The Luminox Watches don’t need any external light source to glow in the dark; the Tritium-tubes will generate the light for 25 years at a stretch. These Discount Luminox Watches are parts of what the toughest of elite forces worldwide considers to be part of their ESSENTIAL GEAR, including that of the United States Navy SEALs’. 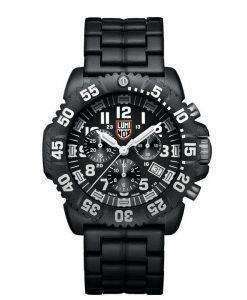 Shop Luminox Watches here online if you are searching for something ready and rugged to cope with harsh, outdoor use.